It’s important for seniors to maintain a robust appetite. However, as people age, chronic health conditions, pain, and medication side effects can lead to a diminished appetite. Fortunately, there are some strategies that can help older adults boost their appetite so they remain strong and active. 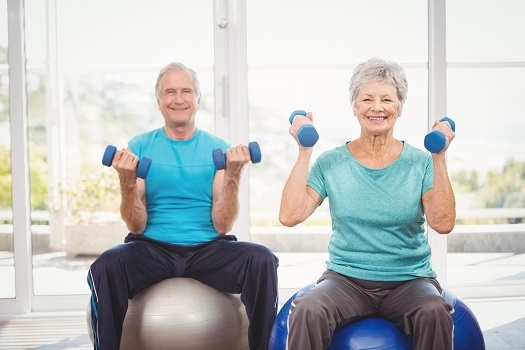 Many seniors are unable to exercise due to limited mobility or preexisting medical conditions, and they may be living sedentary lifestyles and not require a large caloric intake. The body may compensate for this lower need for calories by suppressing the appetite. To boost your senior loved one’s appetite, encourage mild exercise, preferably outside when the sun is shining. The combination of exercise, fresh air, and the effects of vitamin D production from the sun’s rays may increase the appetite. While exercise is important, talk to a physician to make sure your loved one is healthy enough to begin a new exercise routine. If family or work responsibilities make it challenging to help your loved one exercise every day, consider adding a professional caregiver to your caregiving team. There are a variety of reasons family caregivers should consider respite care. Toronto, ON, families often have additional responsibilities that make it more challenging to provide the care their senior loved ones need and deserve. A professional respite caregiver can take over your important caregiving duties, allowing you more time to focus on yourself. Certain medications can diminish appetite. For example, if your loved one takes antibiotics for an infection, he or she may develop stomach pain, abdominal cramping, diarrhea, and loss of appetite. In addition to eliminating “bad” bacteria, antibiotics can also decrease “good” bacteria, which can result in the aforementioned symptoms. However, there are steps you can take to boost your loved one’s appetite during antibiotic therapy. One of the most effective ways to relieve antibiotic-related symptoms and increase the appetite is to take probiotics. Talk to your loved one’s physician to determine which type of probiotic is recommended to boost the appetite. Older adults often develop emotional health issues such as anxiety and depression, which may lead to loss of appetite. If your loved one is depressed because of loneliness, the loss of a spouse, or a lack of independence, make an appointment with a mental health professional. Once emotional health issues have been recognized and treated, your loved one’s mood may brighten, effective sleep patterns may be restored, and the appetite may increase. A professional caregiver can provide companionship and social stimulation in addition to preparing healthy meals for your loved one. Many older adults are choosing to age in place, and some need a helping hand to continue living at home safely and comfortably. Luckily, there is professional elderly home care Toronto seniors can trust and rely on. Another effective way older adults can boost their appetite is to ask their physicians about prescribing an appetite enhancer. While these medications are typically used for short-term treatment, they can help your loved one consume more calories if he or she has lost weight or been diagnosed with a nutritional deficiency. As people age, urinary tract infections become more common. A urinary tract infection, or UTI, can cause painful urination, bloody urine, cloudy urine, pelvic pain, and back pain. While these are the most common symptoms, a urinary tract infection may only cause very few symptoms at a time. In fact, loss of appetite may be one of the only symptoms of a UTI. If your loved one isn’t eating normally or if you notice he or she is exhibiting symptoms of a urinary tract infection, see a physician. A simple urine test can determine if bacteria is present in the urine, and if so, your loved one can be started on a course of antibiotics. Treatment with antibiotics may boost the appetite, and once the infection has completely cleared, the appetite should return to normal. Drinking plenty of water can also boost the appetite because water flushes out the toxins from the urinary tract that were making your loved one sick. If your loved one’s appetite is decreasing, a trained professional caregiver can be a great resource for making sure your loved one gets proper nutrition. Not every senior has the same care needs, which means they don’t all need the same type of in-home care. Toronto families can rely on Home Care Assistance to provide individualized care plans to meet your elderly loved one’s unique care needs. Our holistic Balanced Care Method was designed to help seniors focus on healthy lifestyle habits such as eating nutritious foods, exercising regularly, and maintaining strong social ties, and our Cognitive Therapeutics Method offers mentally stimulating activities that can stave off cognitive decline and delay the onset of dementia. If you need professional home care for your loved one, Home Care Assistance is just a phone call away. Reach out to one of our Care Managers today at (416) 488-8777. Why Are Aging Adults More Prone to Illness?